The homepage for the upcoming Jump Special Anime Festa was updated with listings for 上映アニメ (jyouei anime) or "screening anime" during the festival. The tagline reads, "Watch next-generation ninja!!" 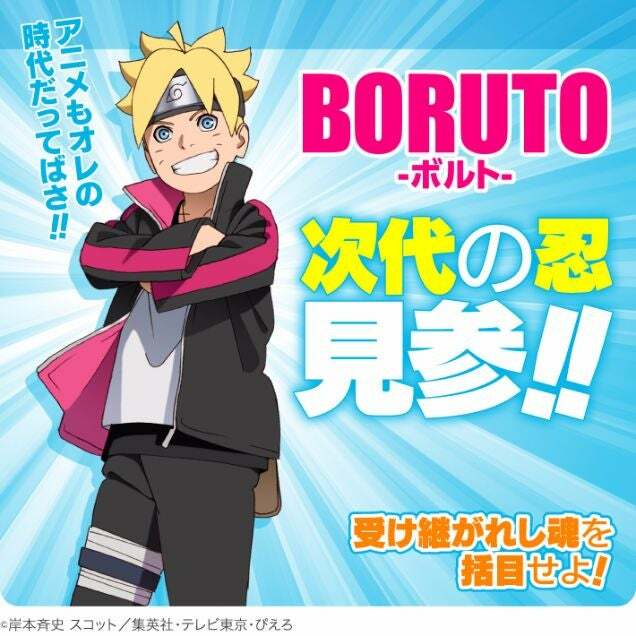 (次代の忍見参!！), with Boruto also saying that anime was also his generation. The credits at the bottom of the image list TV Tokyo and Pierrot. This isn't yet confirmation, but seeing how the character already got a feature film and now has a manga, an announcement for a TV anime, which this is not, does make sense and seems inevitable. The Jump Festa will be first held in Tokyo in late November, before moving on to Sapporo, Osaka, Nagoya and Fukuoka in December. sigh, can't kishimoto just let it die? scratch that, can't kishimoto get on with the story without itachi's/madara's/obito's/kakashi's/akumaru's backstory? I'm not much of a Naruto fan so, at first, I thought that Boruto would be a stupid, unnecessary continuation. It most definitely is not. 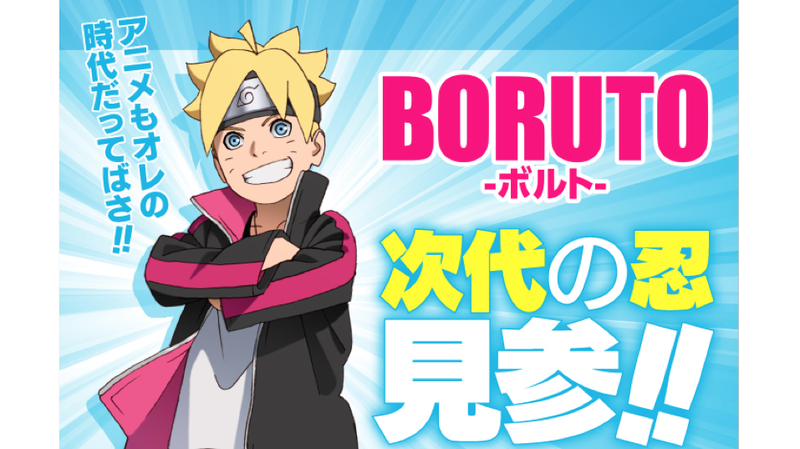 The Boruto film is amazing. Great animation, great writing and it's really breathing new life into the franchise. I would be happy for an anime and would probably watch from day one until it ends.